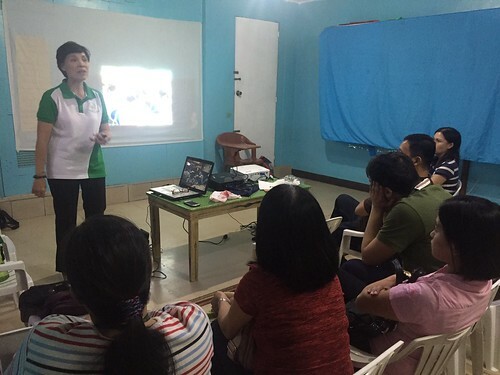 It was a fine, sunny Saturday afternoon of 20 February 2016 when Kidsville Behavior and Therapy Center Bacoor hosted a Family Support Group gathering, moderated by Ms. Jan Peña, ASP National Trustee and President of ASP Dasmarinas. Coming into the event as a first-time attendee, I did not have any expectation as to how this gathering would turn out. After all, I am a weary mother looking for a fresh perspective when it comes to raising my son with autism. My first-born Stan, now 6 years old, was diagnosed with autism when he was turning 4. It did not come as a surprise since my family and I have been observing him act differently from other children his age. My husband and I took the diagnosis calmly and asked the dev pedia what the next step would be. There was no blaming and finger-pointing for we have researched about autism and joined online autism awareness and support groups early on. Then the therapies at Kidsville and the home intervention began. In the past two years I started feeling the weight and burn of loving a child with special needs. Many times we could not understand each other as Stan was using a language only he knew. We were having power struggles when it came to varying activities and seatwork. We were getting stares and unsolicited comments from other people who saw Stan talking and acting randomly in malls, parks, and roads. My approaches to him were trial-and-error but the success rate went gradually higher as we went along, continually asking Stan’s therapists for advice and techniques. But deep inside I am still yearning for some reassurance that everything is going to be all right and Stan is heading to the right direction. A live support group will feel more relevant and real than the online ones I am in. Sitting near the hallway to Kidsville’s cubicles, I saw Ms. Jan and her son Muneer quietly come to the front of the audience – fellow parents of children enrolled at Kidsville Bacoor. I was delighted to see Muneer up close and in person since I used to see him only on the internet. He is 20, with autism, and very much adept with technology that he was the one who set up his mom’s laptop and projector. therapist and head administrator of Kidsville, gave very useful input in making our journeys with our children easier as the event progressed. Ms. Jan presented to us something like Autism 101, but with a more personal touch unlike what we read in books and on the internet. An autism parent herself, Ms. Jan related to us how, in her 20 years of experience with Muneer, it is like for a child with the condition to feel the physical sensations in a different way, to treat an attachment to a certain object like a security blanket, to find calm and enjoyment in doing mundane and repetitive activities, and to respond to situations with opposite extremes of emotions. Through Ms. Jan’s words, we, family members in the room felt like we finally made it to the doorstep of each of our children’s world. There are no hard-and-fast rules in dealing with CWAs and there is no clear-cut solution in treating autism. It is not a disease in the first place, as Ms. Jan pointed out. That was why she presented us with opportunities: practical and creative openings we can find at home and outdoors to help our special children address the challenges of daily life. Being a solution -driven mom who has been motivating my son to be nicer, more open, and more expressive, I found the opportunities to be the fresh perspective I was looking for – a different angle to the “solution” most autism families are aiming at. weeding their lawn and carrying baskets instead of pushing a cart in the grocery help address his tactile needs; Muneer doing laundry establishes a repetitive pattern that he enjoys; Muneer cooking rice encourages proper sequencing of tasks; Muneer cutting food to prepare for cooking improves his eye-hand coordination and establishes his desire for order by cutting vegetables in equal parts; Muneer using his PWD ID at a restaurant allows him to interact with people and improves his writing skills by signing receipts; and Muneer joining special sports, pageants, and communal activities allows him interaction with more people and awareness of his surroundings. More of Muneer’s slides showed us that our being involved with our children can help them become independent, life-ready, and even job-ready as more companies big and small open up to employing PWAs. opportunity and how we unknowingly place barriers to opportunities, I backtracked to the time I first saw Ms. Jan and Muneer in Kidsville. They visited to invite us to join the fun run. But the answers were tentative because of various reasons. I was also guilty of putting that barrier because Stan and I were not able to go despite my raring initiative. The presentation of opportunities led to a mini forum in which parents, me included, asked questions about the different issues we have been facing with our kids, Ms. Jan and Teacher Joy gladly answered them. Another perspective that hit close to home was how Ms. Jan described CWAs: heavenly beings gifted by God to be more resilient but are too pure and different from the ways of this earthly world, and are sent to us because we are capable of rearing them into individuals who can live and adapt to this world’s demands. The event concluded with Ms. Jan’s poem inspired by Muneer’s journey with her, titled, “My Mom, She Made Me Win.” Although I already read the poem online, I still could not help but be touched by Ms. Jan’s soft voice as she recited it, and soon enough tears welled up everybody’s eyes because of this heartfelt tribute. The Family Support Group was an eye-opening and enlightening experience to us family members who attended the gathering. I felt a renewed vigor as I went home bringing my usual pasalubong to Stan. Ms. Jan and Muneer’s presence in the event made us feel that we are not alone in our continuous efforts to understand and relate to our children, and inspired us to be better as their personal advocates. She has always cited her son as a living example of how we can overcome the challenges of raising our differently-able kids. Because of this I believe that my dream of seeing my son speak of his journey in front of many people will become reality in the future. About the contributor: Ednalyn Lozada or Momie Lyn is a 36 years old, mother of two children: Stan, a 6 years old child with autism and Chichi 3 years old. A loving wife to husband Rey, a fellow BPO practitioner. She became a full-time mom when Stan was born.